DESTROYER KINGS SCR Cards Showdown! 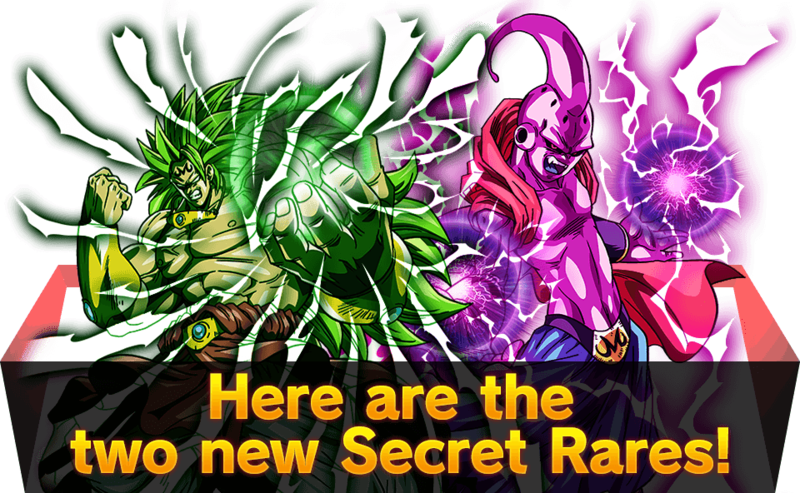 The Secret Rares in this set are SS3 Broly as an Agent of Destruction, and Majin Buu after he absorbed Babidi! This card goes great in Broly decks and has one of the strongest skills ever! Ride the line with your life at 1, and force your opponent to dump their entire hand! This card is a must-have for Agent of Destruction decks. Revive your Agents and finish off your opponent! Series 6 is goes on sale on 3/15!